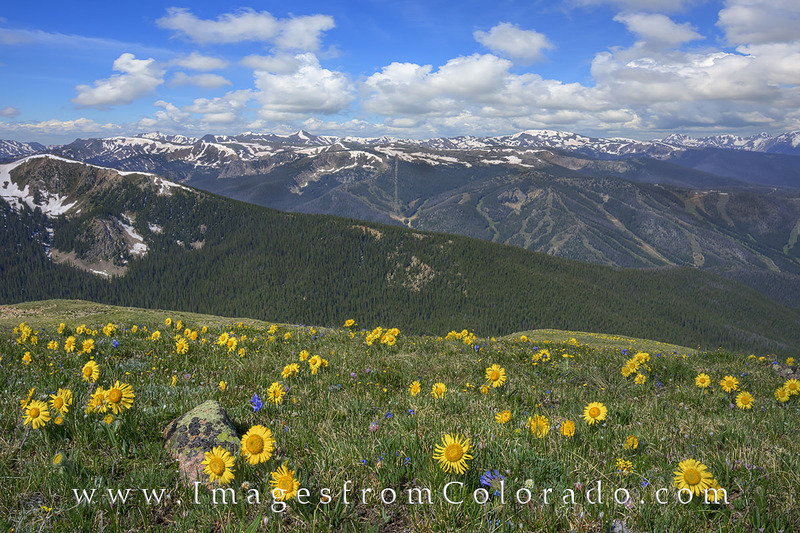 These golden summer wildflowers known as Old Man of the Mountain grow alongside the James Peak trail on a summer afternoon. Along this path, you have beautiful views of the Winter Park ski base. The trail to James Peak is around 9 miles round trip and the trailhead begins off the old Corona Pass Road near the town of Winter Park. Photo © copyright by Rob Greebon.